You are currently browsing the tag archive for the ‘inflatable snow globes’ tag. We’re in this weird little abyss of hub-bub called the first week of January. Christmas has passed and even the clearance items have virtually vanished from the stores. 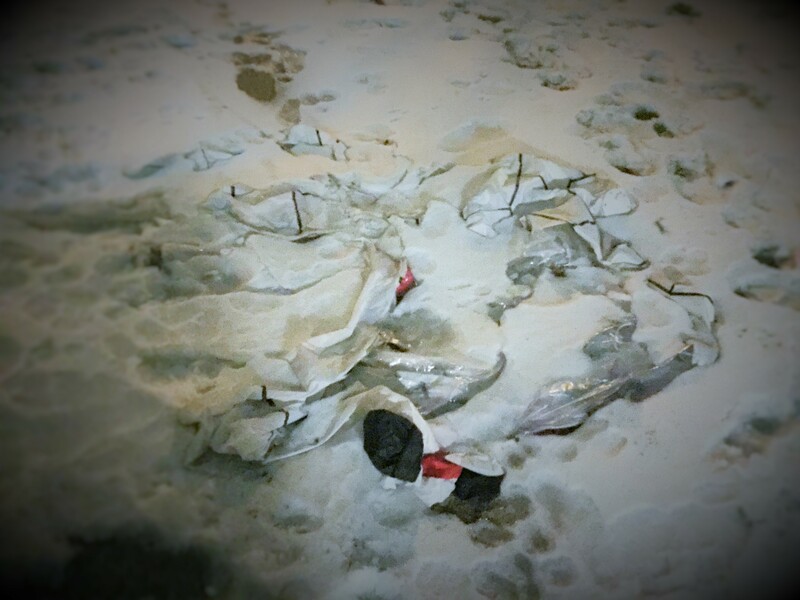 New Year’s Eve has come and gone, just as over-rated as ever. Nearly a week into 2016, some people desperately cling to the last vestige of their resolutions, whatever they may have been. Some are more successful. But, I noticed something today, perhaps an obvious, but the days are getting just a tad longer. There was still a glimmer of twilight in the brisk Midwestern winter sky at 5PM. And we are also going to need some warmer temperatures here in the Midwest to solve this outdoor decorating dilemma at the house. 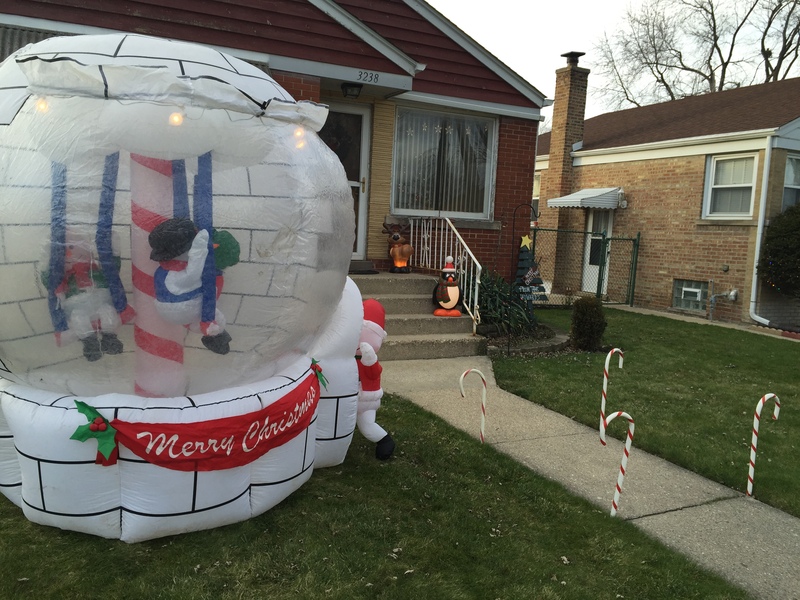 We have this inflatable snow globe and as you can see from this picture it stood proudly on the front lawn for an unseasonably mild Midwestern Green Christmas Day. Normally, at night, the globe is deflated and lies peacefully on the lawn. I leave you with this song by Blood Sweat and Tears. It has a great instrumental arrangement as well as lyrical alliteration that conjurs up a Midwinters Night dream. The song is about a love that’s gone, but perhaps it can be construed to be about an inflatable globe clinging to hope for just a few days of literal “global warming” in January.